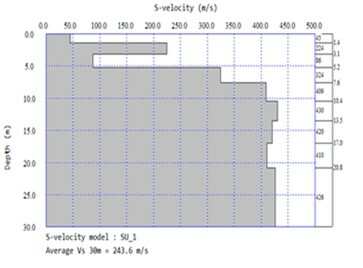 Next generation ground motion prediction models use shear-wave velocity over the top 30 m of subsoil (VS30) as an important assessment parameter of seismic ground surface motion. 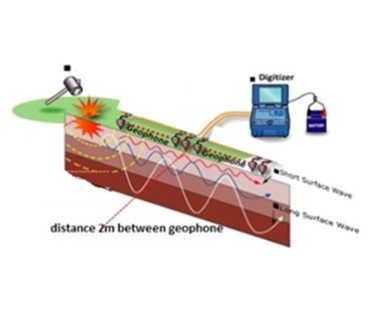 VS30 can be measured using invasive methods, such as boreholes, or non-invasive methods, such as multichannel analysis of surface waves (MASW). 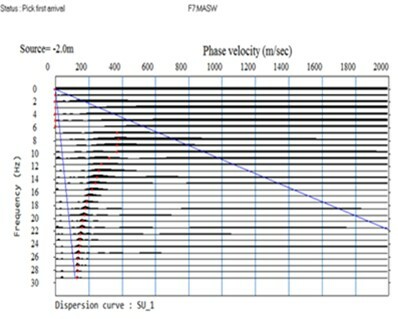 To evaluate this technique in a variety of near-surface conditions, MASW-derived shear-wave velocity profiles (s-wave velocity vs. depth) were statistically compared to direct borehole measurements from three locations of Merapi sediment found on the Universitas Muhammadiyah Yogyakarta (UMY) campus site. 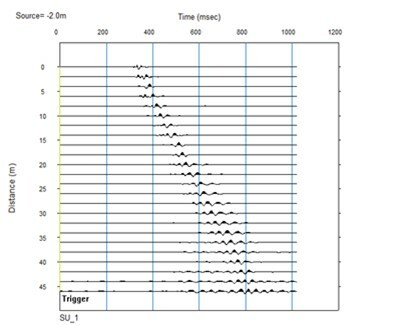 A detailed study of the effect from the total number of recording channels of MASW, sampling intervals, source offset, and receiver spacing was conducted near the borehole test site. The soil was classified as a medium soil or SD. The MASW method, which is non-destructive and non-invasive in nature and relatively faster in assessment, provides more reliable shear-wave velocity profiles, i.e. from 0 to 30 meters below the ground surface. 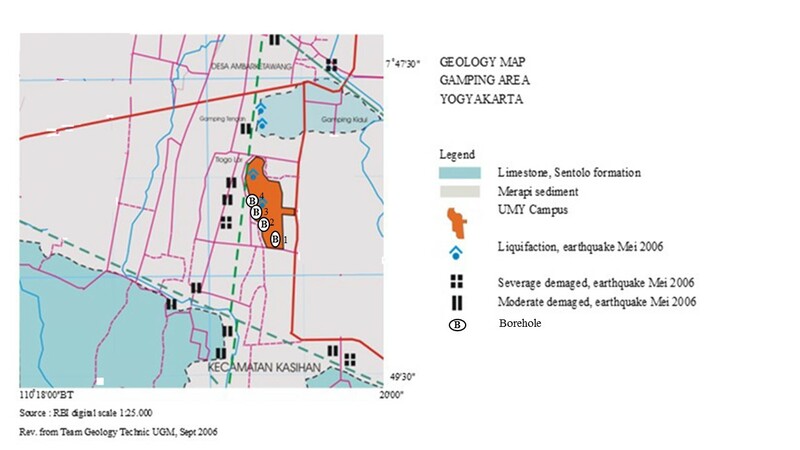 According to the average shear-wave velocity, the MASW direct measurement method classifies the Merapi sediment on the UMY Campus as a medium soil. The soil profile of shear-wave velocity from the MASW direct measurement moderately deviates as compared with empirical conversion using N-SPT values. The MASW method is a non-invasive approach to estimate near surface shear-wave velocity and has the potential to substitute more invasive and destructive tests. As the use of MASW is less expensive than SPT, further bore data sharing is needed to develop empirical conversions of N-SPT appropriate to the type of soil in Indonesia. The authors gratefully acknowledge the research grant PUPT No. 2766/UN2.R3.1/HKPO5.00/2017 provided by Kemenristekdikti for budget year 2017.